Every BRICS country is in the alliance to hard-headedly advance its strategic economic, trade and geopolitical interests. South Africa will only benefit from its membership if it drives a hard bargain to defend its economic interests, trade intelligently and build clever issue-based tactical alliances with individual member countries. 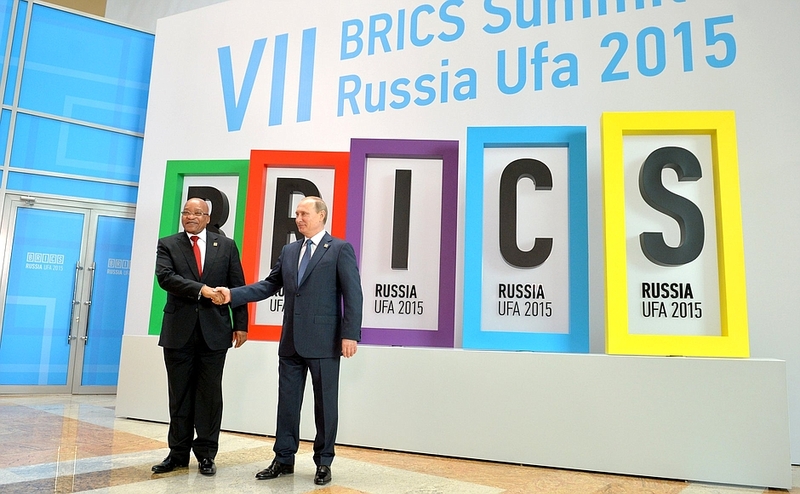 The challenge for South Africa is that BRICS may erode South Africa’s domestic economy, because many products from BRICS countries directly compete with those of South Africa, unless it negotiates adroitly. BRICS and industrialized countries are all targeting Africa’s resources, which poses a direct threat to South Africa’s economy. The growing Africa offers South Africa, based at the Southern tip of the continent, with the most advanced economy and its industrial and manufacturing sectors a once in a generation opportunity to piggy-back on Africa’s growth to lift its own economy. Growing African countries need stoves, fridges and trains—which South Africa produces. Ideally, a growing South African economy could copy the example of Japan whose economic rise after 1945 lifted East Asia with it. However, structural obstacles, poor economic and political policies, and lack of imagination in leadership have put paid to that route of growth for South Africa. However, the alternative— South Africa leveraging a growing Africa to lift its own growth levels—is a real option. South Africa’s unemployed are mostly black and low-skilled and young. A growing manufacturing sector could soak up these unemployed. South Africa’s manufacturing sector is ailing. Former manufacturing areas such as the East Rand are now virtually ghost towns. Any inroads old industrial powers and emerging powers make into Africa may undermine South Africa’s efforts. Other BRICS countries are already exporting manufacturing goods to Africa, including the inputs to Africa’s planned infrastructure programmes such as railways, supposedly SA’s strategic advantage. This is hurting the manufacturing sectors South Africa identified as key to job creation in its 2010 Industrial Policy Action Plan (IPAP). Revitalizing manufacturing—and boosting these exports to Africa—is at the heart of South Africa’s attempt to create five million jobs by 2020. Vast new mineral, gas and oil deposits are being identified across Africa, and South Africa is uniquely positioned to provide the skills, finance and experience to exploit these. This is due to its own extensive mining industry—with its associated specialised manufacturing base—which is acknowledged as the world leader in deep-level mining in complex terrains. Being in Africa as it is, South Africa should have a competitive advantage over BRICS countries or the West, as it knows the continent better. It also has a large population of African immigrants—from Nigerians, Congolese and Zimbabweans to Somalis and Rwandans—whose talents could be mobilised as a competitive advantage in its trade and its negotiations with the rest of Africa and BRICS. While the SA’s manufacturing sector is coming out of a deep crisis—with some sectors in decline, others having migrated to industrial countries taking their research, development and innovation capacity with them—the manufacturing sectors of most of the country’s BRICS partners are buoyant. China is aggressively promoting the use of the yuan for international trade and lending with its developing country partners, particularly in Africa, rather than using the US dollar. Standard Bank of South Africa predicts that China’s yuan will replace the US dollar as the main currency to finance trade between China and African countries sooner than expected. Standard Bank predicted that by 2015 up to 40 per cent (or $100 billion) of China’s trade with Africa will denominated in yuan. The South African rand is the accepted currency in many African countries. The real danger is that the Chinese yuan will replace the rand in Africa. By localizing the yuan in Africa, China will not only be able to reduce the currency risks inherent in many unstable African currencies, it may also be able to circumvent non-tariff barriers in Africa. Successfully localizing the yuan in Africa will also speed up Chinese lending to Africa and free Chinese cash to finance the selling of Chinese manufacturers and infrastructure inputs to Africa. William Gumede is Associate Professor and Convener: Political Economy at the Graduate School of Public and Development Management at the University of the Witwatersrand in Johannesburg. He is the founder of Democracy Works, a new foundation promoting democracy in South Africa and other African countries, as well as in developing countries in the rest of the world. Gumede is a former lead advisor of the Development Bank of Southern Africa and former deputy and managing editor of The Sowetan newspaper. He has started a number of successful public, private and non-profit entities; and chaired the boards of several local and international organisations. Before the end of apartheid, Gumede held leadership positions in South Africa's student, trade union and civic movements. He is a bestselling author and prolific writer who regularly contribute columns and articles to local and overseas publications. His most recent publication is an eshort entitled South Africa in BRICS: Salvation or Ruination and Restless Nation (2012). His book Thabo Mbeki and the Battle for the Soul of the ANC was published to great acclaim in 2005.